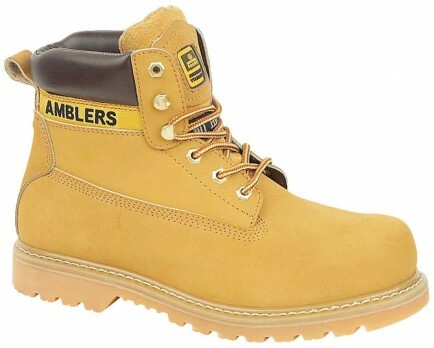 The Amblers Steel FS7 is a hardwearing and lightweight steel toe cap boot with mid-sole protection. It features three eyelet lace holes and ankle high looping system for added support and the padded collar and tongue makes this a comfortable choice of safety footwear. The Top-grain Nu-buck rawhide leather giving strength, thickness and resistance to wear. As a welted boot it allows a constant flow of air, keeping footwear ventilated, durable and strong.